Home christian music contemporary gospel song Fiverr Gospel Promoter Fiverr Marketing Services fiverr promotion iClap Music By Dani "iClap" By Dani - An Upbeat Rhythm Song That Inspire One To Clap, Praise, And Celebrate The Victory Through Christ! 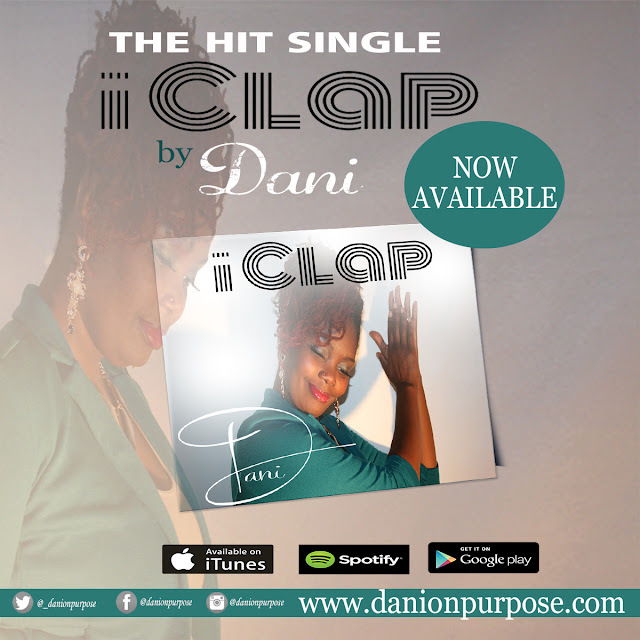 "iClap" By Dani - An Upbeat Rhythm Song That Inspire One To Clap, Praise, And Celebrate The Victory Through Christ! Dani, born Danielle L. Davis believes that through many of the things she has experienced in her life, God has placed a music ministry in her. She looks at every situation and sees the Glory of God in it. Her life is her testimony and song. How Can Sinners Be Inspired? When asked how Dani can relate to those that feel their sins will not be accepted by people in church congregations, Dani replied, "sinners need to understand that being accepted in a church is not the goal. The goal is to confess your sins to the Father, accept Christ as Lord and Savior of your life, repent and strive to live a Holy and righteous life in Christ! God doesn't expect us to be sinless, but He does expect us to sin less and less and less. Once you establish a relationship with God you will receive joy and freedom to clap your hands! Trying to be accepted in a church is not a goal one should pursue."